Effective and timely use of the Internet, with a navigable and regularly-updated corporate Web site, can improve perceptions about a company’s transparency vis-à-vis corporate governance practices. 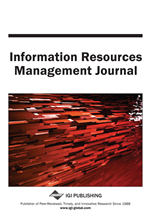 Based on an empirical analysis of data from 30 company Web sites in the DJIA, we conclude that a majority of companies underutilize their Web sites in communicating corporate governance information. Nearly all companies provide only routine content disclosure using minimal Web design features. A proactive display of compliance and due diligence content is largely absent, and most companies have yet to exploit advanced Web technologies to the fullest. Companies with better quality content and design appear to have higher corporate governance quotient (CGQ) ratings thereby implying greater transparency. The resultant framework can help companies vastly improve their Web sites by including more content that reflects due diligence and transparency and implementing Web 2.0 and other advanced technologies. Companies serious about transparency will adopt a more strategic approach to Web content and design. The lists of variables we identify can serve as checklists and/or templates for executives and researchers.